Sue is particularly passionate about all children and young people having opportunities to achieve the very best outcomes. The importance of the very early years of childhood and the development of our young people’s emotional intelligence and resilience are areas of specific interest. Sue is also a champion of the importance of physical activity and sport in young people’s physical and emotional development. A member of the Board of Leap for several years Sue has increased her knowledge of the sector from working with experts in the field, both at board level and with staff members. In her professional career Sue spent many years working very closely with with a number of different areas of the local health sector including public health and clinical commissioning groups and across both physical and mental health. Sue started her professional career as a teacher before working for several years in education administration in a local authority. Working for the Department for Education for a period of time, Sue went back into the local authority as Director of Education and then Director of Children’s Services. She has worked very closely with headteachers and governors in both primary and secondary schools. Throughout her career Sue has had experience of developing and delivering significant messages on a range of issues, to a wide range of audiences. Speaking at local and national events, Sue also has experience of working with colleagues in various aspects of the media sector. Sue has led and delivered several significant change programmes in the children’s services area. Representing colleagues on national fora with government ministers and sitting with a range of experts on various working groups. 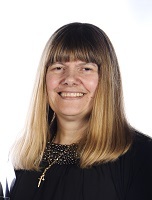 As vice chair of an educational trust Sue has been involved in developing the strategy and business plan for moving the organisation forward, based on a range of services traded locally, nationally and internationally.